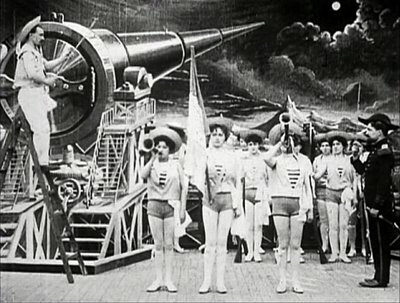 "A Trip to the Moon"(or it's original French title "Le Voyage dans la Lune") is a true landmark in the history of cinema. Widely attested to being the seminal work of science fiction for the movie industry, then still in it's infancy. Movies at this time were either reality based actualities, think documentary style footage depicting real people or events, for example : "Workers Leaving the Lumière Factory in Lyon"(Lumiere) or a boxing match(Edison) or people "Playing Cards"(Méliès). Or they were narrative driven stories like we know today but only lasting a few minutes. Keep in mind that for most people movies or "moving pictures" were still a wonder to behold, a true marvel of the modern world. become 24 frames per second ). 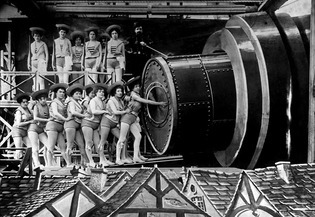 The movie took Méliès nearly three months to make at a reported cost of ten thousand Francs, an astronomical amount of money at the time for a movie. It employed numerous special effects and was released in both black and white and colour. To make a modern comparison, "A Trip to the Moon" was to 1902 what "Avatar" was to 2009. "The idea of 'A Trip to the Moon' came to me when I was reading a book by Jules Verne called 'From the Earth to the Moon and Around the Moon'. So I imagined, using the same means as Jules Verne(shooting a projectile from an enormous canon), landing on the moon, in such a way that I could put together some arresting and amusing fairytale images, show the outside and the inside of the moon, and some monsters that might live on the moon, add one or two artistic effects." Other possible influences on the film have been noted as H.G. 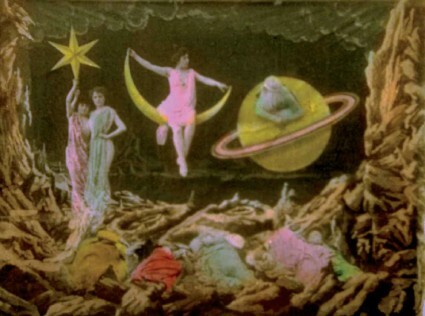 Wells' "First Men in the Moon" as well as an opera entitled "A Trip to the Moon" set to the music of Jacques Offenbach first performed in 1875. The cast of the movie were Delpierre, Kelm and Farjaux all music hall singers. Victor Andrè, an actor from the Cluny theatre, dancers from the Chatelet balet, and for the Selenites(the moon men) he recruited acrobats from the Folies-Bergères. The face in the moon was played by Bleuette Bemon, a music hall singer. 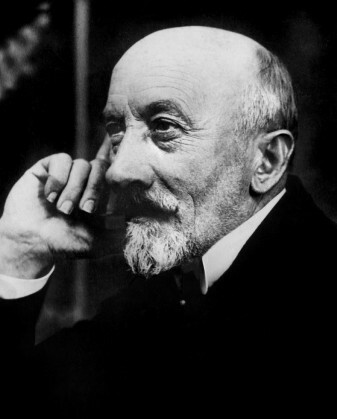 Lastly but by no means least Georges Méliès himself as Prof. Barbenfouillis. 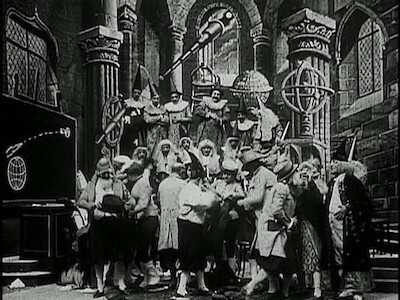 Filming on the movie started in May of 1902 in Star Films' famous Studio A, and the film was released for the first time on September 1 st 1902 in France. 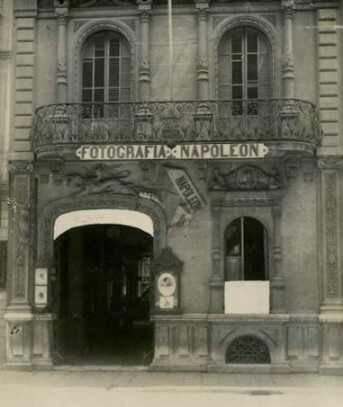 The first public screening took place at the Napoleon Theater in Paris. The movie was a massive hit and was soon distributed worldwide. Unfortunately Méliès never really saw the full return from the movie, especially in the American market. As the story goes, Thomas Edison managed to bribe the owner of a New York theater to obtain a copy of the film. Once in possession his technicians made numerous copies that Edison's film company then distributed nationwide and reaped huge profits from. 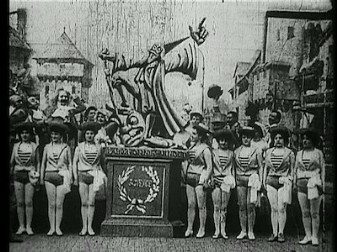 This largely prompted Méliès to send his brother Gaston to America to open the American branch of Star Films, so they could enforce copyright on their films in that market. designs and attention to detail is extraordinary and manages to pull you in as the viewer. This is especially true for the lunar scenes. A fully alien yet compellingly believable world is created. 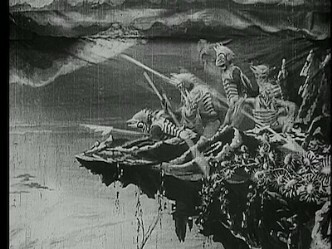 The acrobats that Méliès enlisted to portray the selenites along with his special effects combine to create some of the most memorable visuals in early cinema. "Cinderella". Another actress who also appeared in all of these titles was Jeanne d'Alcy, born as Charlotte Lucie Marie Adèle Stephanie Adrienne Faës, who later became Méliès' second wife in 1926. 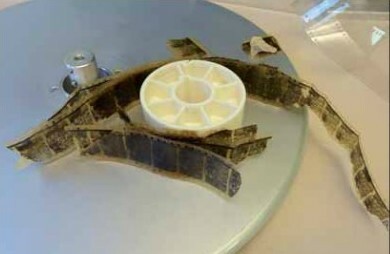 The colour version of "A Trip to the Moon" was thought to be lost forever and was not seen for more than seven decades, then in 1993 an original nitrate print was discovered in Barcelona, Spain as part of a private collection. 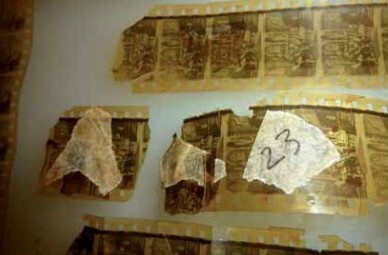 This was then donated to Filmoteca du Catalunya, a Spanish film archive. extremely advanced stage of decomposition, and had to be carefully peeled back and digitized one frame at a time. Again eight years went by before the technology had progressed sufficiently for the restoration process to begin in earnest. 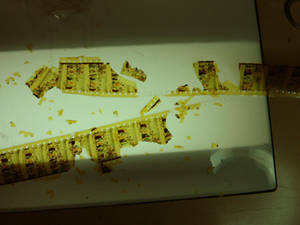 The Groupama Gan Foundation for Cinema and the Technicolor Foundation for Cinema Heritage would collaborate to restore the more than 13 000 frames of the movie at the Technicolor Creative Services Lab in Los Angeles. The colour version was finally restored to it's former glory and was seen again for the first time in more than a century on the opening night of the 2011 Cannes International Film Festival where it was included as an official selection. 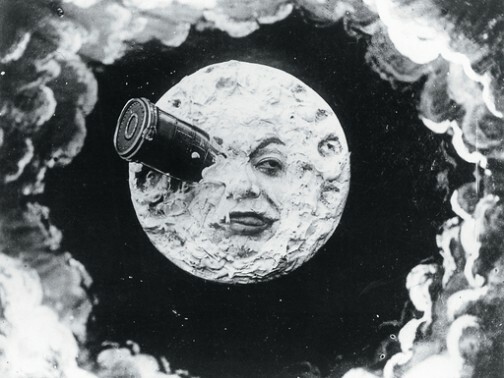 Your classic movie master recommends A Trip to the Moon(1902) with 4 pills on the madness meter, every single movie fan out there should see this on at lest once. You don't even need any pills to go on this trip, but take them anyway!